When we transform assets in order to retire some of the technical debt they carry, service disruptions are sometimes necessary. To minimize service disruptions while technical debt retirement efforts are underway, it’s advantageous to automate some procedures. Automation-assisted technical debt retirement provides two important benefits: limited disruption of operations and error avoidance. I’m using the concept of automation a bit loosely here. I don’t mean to imply that these procedures are autonomous. What I mean is that engineers working on technical debt retirement projects have available an array of tools wide enough to enable them to perform many operations with a minimum of thought. For example, when a test is automated in this sense of automated, an engineer can issue a command such as, “Test Module Alpha Using Test Suite Delta,” which results in the execution of a set of predefined tests. Following execution, the appropriate engineers are notified of the results, and the results are recorded in the proper places. If the results are anomalous, engineers can then take appropriate action. The I-35W Bridge collapse, day 4, Minneapolis, Minnesota, August 5, 2007. The proximate cause of the collapse was underweight gusset plate design, which made the bridge vulnerable to the increased static load due to concrete road surfacing additions over the years, and to the weight of construction equipment and supplies during a repair project that was then underway [NTSB 2008]. When we conduct maintenance or technical debt retirement projects involving assets that must remain operational during project execution, we risk stressing the asset in ways that extend beyond its safe operation envelope. The National Transportation Safety Board found that this occurred in the case of the I-35W bridge collapse. These effects are more difficult to imagine in software systems, but they can occur when load is shifted from the systems undergoing modification to other systems that can then become overloaded. Or these effects can occur when load is shifted not from one asset to another, but from one time window to another on the same asset, resulting in high loads in some time windows. Photo by Kevin Rofidal, United States Coast Guard, courtesy Wikimedia Commons. The more obvious benefit of automated procedures is speed. For example, an asset removed from service for testing can be returned to service more quickly if the testing is automated. And if trouble erupts during operations when a newly transformed asset is placed into service, the untransformed asset can be swapped back into its place quickly if insertion procedures and removal procedures (roll-out and roll-back) are automated. Tools for releasing newly transformed assets, and rolling back to the previous release if necessary, provide another example of automation assist. These tools are just a few of the many elements of a set of practices collectively known as continuous delivery [Humble 2010]. The second benefit of this kind of automation is error avoidance. For example, inconsistent or incomplete testing can fail to find errors and defects, and that leads to rework and further disruptions. Another way to generate trouble: performing tests incorrectly, and therefore finding “defects” that aren’t there. Automated procedures are much less prone to error, if they’re periodically maintained, tested, and certified. For example, if testing a module at a certain level requires running a suite of tests, engineers needn’t remember (or take time to look up) how to prepare the asset for tests, how to run the tests, or what the members of the test suite are. Long advocated as an essential element of sound engineering practice, test automation can avoid some of these problems. But it’s far short of a panacea [Bach 1999]. Sometimes debt retirement itself can be automated. When we can retire instances of the technical debt in question by performing an automated transformation on an asset, the transformation is faster and more reliable. The most important form of automation associated with technical debt retirement is automation-assisted regression testing. Investments in thorough and focused regression testing have potentially shockingly high returns in the debt retirement context, and in the contexts of development and routine maintenance. To perform a regression test on an asset that has undergone some kind of change (or whose context has undergone change) is to operate, employ, measure, or inspect the asset under a specified set of conditions to determine whether those changes caused the asset to fail to meet some standard that it had previously met before the change. That is, a regression test is a procedure that determines whether the asset has regressed as a result of the change. Automated or automation-assisted regression tests enable the members of the debt retirement project team to detect problems in assets that they’ve transformed before the business units that depend on those assets encounter problems during their potentially expensive operations [Ge 2014]. Many of these same regression tests can also be useful during enhancement and ongoing maintenance of the asset. In many instances, investing in automated regression tests well in advance of the debt retirement project can enhance development and maintenance performance relative to those assets. Later, when the debt retirement project begins, the previously obtained results of regression tests will already be available. For some debt retirement projects, specially created automated regression tests might be beneficial. Assigning engineers to automation tool development for debt retirement projects is probably the best way to support these needs. These automation capabilities are unlikely to be available commercially, because they’re so specialized to the asset being tested. And because general applicability is unnecessary, building them in-house is both practical and economical, if the necessary skills are available. These investments can be justified economically if we take into account the savings resulting from reduced service disruptions for the debt-bearing assets. [Bach 1999] James Bach. “Test Automation Snake Oil!” (1999). [Ge 2014] Xi Ge and Emerson Murphy-Hill. “Manual Refactoring Changes with Automated Refactoring Validation,” Proceedings of the 36th International Conference on Software Engineering . ACM, 2014. [Humble 2010] Jez Humble and David Farley. Continuous delivery: reliable software releases through build, test, and deployment automation , Pearson Education, 2010. [NTSB 2008] National Transportation Safety Board. 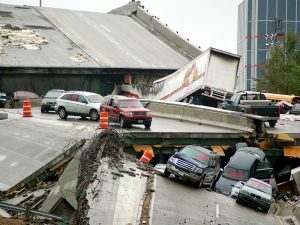 “Board Meeting Executive Summary: Collapse of I-35W Highway Bridge, Minneapolis, Minnesota, August 1, 2007,”, November 13, 2008. Available: here; Retrieved: January 3, 2019.